Update: Fist of the North Star: Ken’s Rage 2 on the Wii U eShop has now been officially added to this week's set of downloadable delights. It's a dreary Monday morning, but we at least have some Nintendo Download news to keep Europeans happy. There's a range of content on 3DS, from freebies to a retail download, while Wii's Virtual Console returns with, yep, more Neo Geo goodness. DSi misses out this week, but let's look at what we do have to look forward to this week. 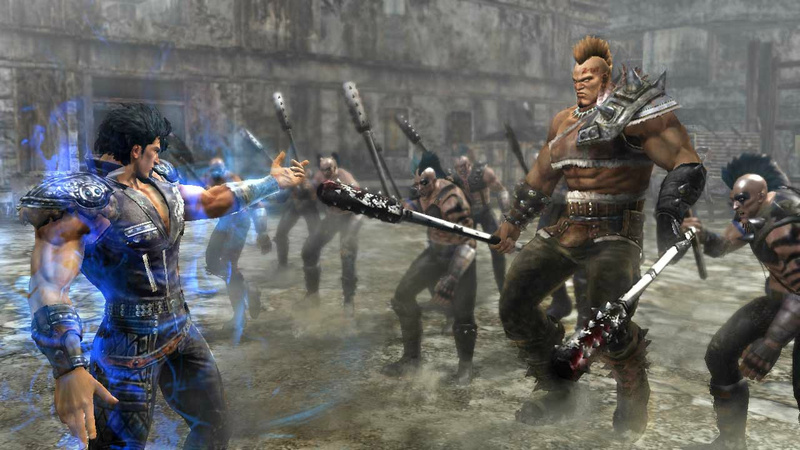 Fist of the North Star: Ken’s Rage 2 (TECMO KOEI GAMES, €59.99 / £49.99) - This is the first download-only retail game on Wii U. Fist of the North Star: Ken's Rage 2 is a collaboration between the popular manga "Fist of the North Star" and the "Warriors" video game series, which is known for its action-packed gameplay. Various episodes have been included from the original manga in addition to the Raoh storyline and the final story revolving around Bat and Rin. The game's Legend Mode follows the overall story of the original manga, while Dream Mode focuses on events that take place between episodes in the original story. Watch out for our upcoming review. Real Heroes: Firefighter 3D Download Version (Zordix, €9.99 / £8.99) — Having originally arrived as a retail title late last year, Zordix AB has taken over publishing duties for this Download Version, in which your goal is still to rise from being a rookie to a hero firefighter. We weren't at all impressed with the retail version in our Real Heroes: Firefighter 3D review, but will nevertheless douse any flames of curiosity and see whether the reduced price means any reduction in content. 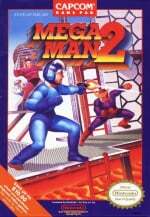 Mega Man 2 (Capcom, €4.99 / £4.49) — Capcom is bringing the first six NES Mega Man titles to the 3DS Virtual Console, and now eager fans of the Blue Bomber can get their hands on the first sequel and, arguably, the beginnings of the series at its best. Some even regard this as the best in the original series, but wherever you stand in the argument this is classic Mega Man fare; we're more than happy to review it again in its 3DS guise, but until then you can always check out our Wii Virtual Console Mega Man 2 review. Sonic & All-Stars Racing Transformed (SEGA, €39.99 / £29.99) — This handheld version of the excellent Wii U title hit European stores on 1st February, and isn't taking long to speed onto the eShop for those that prefer downloading their retail games. Expect a lot of fast action and fan-service in this one. Fractured Soul (Endgame Studios, free) — A title with a long and torturous development history, its arrival brought us a hard-as-nails dual screen action platformer, with puzzle elements also thrown in. Clearing levels is one concern, while perfectionists can tackle the various collectibles in each stage; now you can see whether it appeals to you with this free sample. 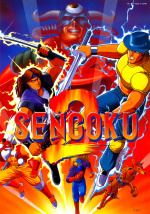 Sengoku 2 (D4 Enterprise, 900 Nintendo Points) — It seems that whenever a Neo Geo title arrives, it involves one-on-one fighting to the death, or one vs many side-scrolling fighting to the death. This one's the latter, an action brawler where you play as "warriors that have been summoned by a sorceress princess to take down a dark lord while battling through various epochs"; no pressure, then. Despite some repetition, this battered its way to a solid recommendation in our Sengoku 2 review. The Beet Party: Jurassic Fridge (Redrover, €0.99 / £0.89) — The Beet Party: Jurassic Fridge is the second in a series of 3D short videos available for download on Nintendo eShop. The two-minute interstitials target four to six year olds and follow the adventures of the five coolest beets around as they explore, experiment, celebrate and communicate with beat-boxing sounds when something new arrives in their fridge. So there you have it, heroes of various kinds waiting for you to guide them to various glories, of sorts. Let us know which will empty your accounts of funds in the poll and comments below. Not going to lie, totally hoping for Runner 2 after the article last week that it was submitted, maybe next week. @Jamouse Which one? Q4 2010, 2011, or 2012? @Red_Acteur_2 The NES ambassador games all ran at 60 Hz, which is why the Wii U eShop scenario irritated so many people. I certainly hope this will be the same! Nothing at all for me this week. But my bank account is completely empty until next week, so I guess that's fine. I'd probably check out Sengoku 2 if my hack and slash time wasn't currently being taken up by NG3: Razor's Edge. @ThomasBW84 : Thanks for the answer I was so disappointed by MM2 on the Wii Virtual Console. Glad I'll be able to get my arse kicked at lightspeed (well....60Hz speed anyway) ! Great, I'll download Fractured Soul ASAP. I'm very interested in the game but some coments about its crzy difficulty hold me back. @Bass_X0 That's all down to the tags, I've added the "Virtual Console" tag, so this is now showing on the VC channel. I just thought, shouldn't Ken's Rage 2 be coming to the Wii U eShop his week? Seems to be a habit of NoE to not let you know about that's happening to the Wii U eShop lately. @BenAV I know me too:( But Megan Man II. I have to get that one. @cornishlee It's not on the list that's been provided, though it was expected. We'll see if we can find out what the deal is. I don't think there's anything for me this week to be honest. Yeah, that's what I meant about them not letting you know. It seems that Wii U eShop updates have more often been off the list than on it so far this year. Hey Nintendo where are Cave story+, nightsky, nano assault EX??? We know that they are in your hands why do you not give them to Europeans ???? @Red_Acteur_2 All the post ambassador NES games so far released are also '60Hz' speed on 3DS, including Mega Man (1), thats why I actually buy some of them on there! Hope it stays that way. Wonder where retro city rampage is? Sadly Megaman 2 will have to wait as I'm broke. @Cesco Not even Tokyo Crash Mobs or Gunman Clive? Still No Cave Story for Europe means I wont buy Ikachan in the USA very sad I'm currently Boycotting any Nicalis Software until Cave story is released for Europe. Mega Man 2 for me this week. My NES collection is building up nicely now. I intend to get MM2, but I desperately hope for a port of MM9 at some point. That one is my favorite, and could use a coat of 3D paint. I won't buy the DLC again, though, 'xcept for ProtoMan. The lack of Wii U content this week is quite disappointing. But atleast the Wii U is getting it's fair share! Excellent, thanks. £10 more than I was expecting but I'm looking forward to the review. i will just buy some pinball tables just got plants vs zombies,and like that few more tables will do fine. Hm, I thought "FotNs: Ken's Rage 2" would be getting a lot more attention. Maybe the price is off-putting for most gamers. Nothing for me. Already have Fractured Soul which is a decent DL game. Fist of the North Star is how much? G'Lord. Sonic and Sega I already have on the Wii U as a retail disc. That is actually an ok price for a retail DL as they are stupidly priced on the 3DS too. Most comments were posted before the article was updated with that title. I doubt Fist of the North Star: Ken's Rage 2 will get many sales on Wii U at that price, especially with it being a download only retail title. The prices of retail downloads on Wii U is ridiculous! They should be £40 at the most but with the prices some of them are sold at elsewhere even that might seem too much for some games. It's not just wishful thinking that led me to believe Ken's Rage might be £39.99. Contrary to what's often bandied around not all Wii U eShop retail titles are £49.99 - Sing Party, Sports Connection, SARTransformed, Rabbids Land, Just Dance 4 and Your Shape 2013 are all £39.99, Tekken is £37.49, Rise of the Guardians & Ben 10 are £35.99 and Family Party is £27.99. It just seems to be the bigger games that are £50-55, which is why I'm surprised by Ken. Going on the eShop just now I also spotted that Scribblenauts Unlimited says it's launching here on 8th Feb as well. That's got to be worth finding out about. It seems from the forums that there's quite a few people looking forward to that. It's been said that the WiiU wont really have anything till towards the end of the month. There is the hope that runner and toki tori gets released. Is there any plans for a demo of fotns kens rage? 60€ for a download game? hope you're wrong... I won't support this **** anymore! Skipping Mega Man 2. I already triple dipped with Ninja Gaiden. Maybe I'll finally download Sengoku 2, but I have to save money for Brain Age. Yet again no GB or GBC games. very disappointing once more! Someone know if we can play Ken rage 2 on the gamepad of the wii u only ? Mega Man 2 for me. 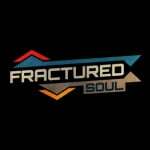 Will also check out the Fractured Soul demo. I have never played Mega Man 2. So I would love to purchase this game. People are saying that it's the best in the franchise. We'll have to see if that's true. While I agree that it is a brilliant game but I personally loved MM3. When people told me how great 2 was I bought it and saw why it was so great but it didn't do anything for me to go "WOW this game unbelievable" that sentence was said when I finished 3. I am quite surprised at the Fractured Souls demo. Very enjoyable game. It feels very good, despite being a 3DS game that doesn't feature 3D. I will purchase it right away.